NYC, 02/07/2019, 6:30PM. Learn How Worms Work Their Magic. 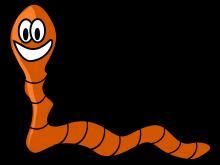 Learn more about worms, converting kitchen scraps into a rich organic fertilizer, and reducing our carbon footprints. In this workshop, the NYC Compost Project will introduce composting, demonstrate how to build an indoor worm bin, and go over basic care and maintenance. Discussion will focus on engaging students and enriching curriculum with these easy classroom pets.